I love the unexpected. Usually. While on Vacation I had one of those experiences that are totally unexpected and fun to be a part of. 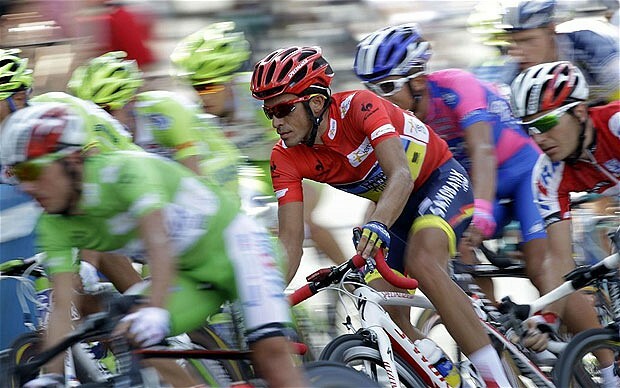 I do not follow the sport of Bicycling, however I am well aware of it’s global reach. It’s a huge sport around the world. This represents my second encounter with the Sport. The last came a few years back when I was in Paris on the same weekend the Tour De France ended, that was a sight to be hold, something like a million people lining the Champs Elysees waiting for the riders to come down from the surrounding hillside and swoop in to Paris to claim their victory. As it turns out that was the last time Lance Armstrong won a Tour De France, the rest of his story is well known by now. My second experience happened while in Italy a couple of weeks ago. The small town of Praiano to be exact. 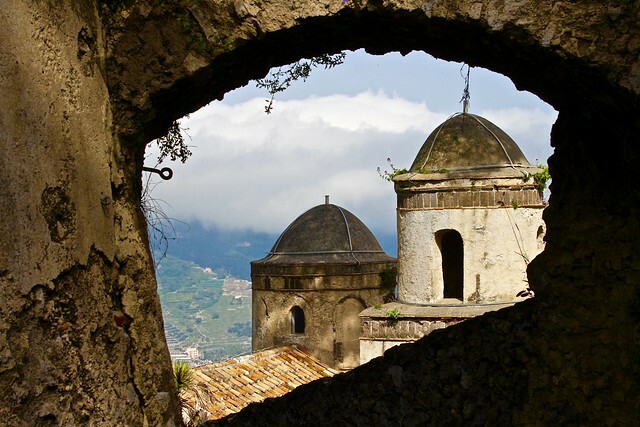 Praiano is situated between the towns of Positano and Amalfi. 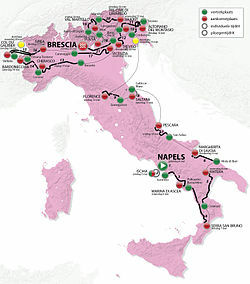 After we had settled in to our Villa for the week, we found out that the Giro D’ Italia Bike Race would be coming through Praiano. I want to reiterate I am not a fan of Bike Racing, I know very little about it, what the rules are (except no doping), how one wins a big Bike Race like this. But the spectacle of it is fun and exciting to watch. 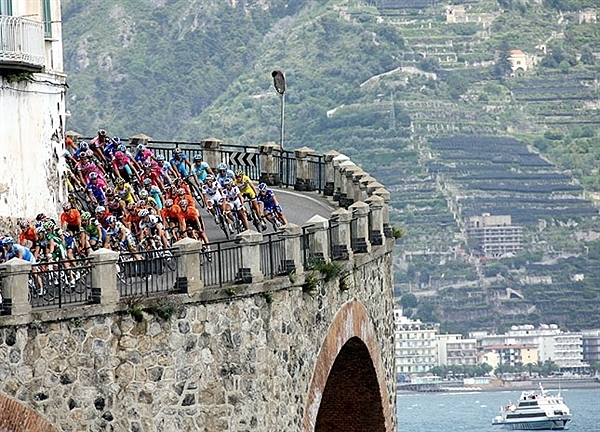 I would like to say to you all that whether it’s a bike race or some other event, there are very few places that have the ambiance and beauty of the Amalfi Coast of Italy. Watching paint dry on the Amalfi Coast would be a beautiful and pleasant experience. There is a small group of us on this trip and we have all agreed to stay in town and watch the race. So we settled on a location, a nice little cafe right on the main road. Although we couldn’t be sure what time the riders would be entering our town, it was decided someone would go early to hold a couple of tables at the edge of the patio overlooking the road. Well as it turned out, this was an all day affair. Tables were held beginning at 7 a.m. We American’s always seem to think we must be first and early to an event, in fact the town hadn’t even awakened until 10 a.m.. So hours of Coffee, Cappuccino’s, Croissant’s and Snacks (of course thats not so bad). As mid day drew closer, the crowds were getting restless with anticipation. The Race Organizers did a good job of chumming the waters of anticipation by having several souvenir van’s driving through every few minutes selling the Race Souvenirs, it was a lot of fun to see all the excitement build. We are now about 5 hours into the wait. From our vantage point we could see clear to Positano and were steadfastly watching the roads along the cliffs looking for any sign of a bike race, then we spotted it. Bicycles. They are coming, they are coming, they are coming, people were getting very excited. Police, Ambulance’s, Sponsor’s Cars and Team Pace Cars came buzzing through town, just enough to really ramp up the excitement. As I positioned myself to get photos of the riders as they descended on our little town even I was getting excited. There was talk that the riders would hit town between 12:32 and 12:39. Thats a pretty short window of time, and sure enough at 12:35 the lead group came racing through. It was exciting. Then about 4 minutes behind them was the Peloton (this is a large group of riders that are not leading, but have much to do with the positioning the team to win, as I understand it). About 3 minutes later it was over. Yes, you read that right, 5+ hours of waiting for what amounted to about a 6-8 minutes experience. And it was fantastic. The excitement in the air from all the people was amazing, children clapping, yelling their support for their team. Adults jumping up and down. Happy People everywhere you looked. I may not know much about this sport, but I know enough about the effect it has on people, and that is a good thing to see. I may just have to learn a little more about this sport. I really enjoyed your post and absolutely Think Italy is beautiful and even though Im not a bike rider the sport is fun to watch and the photos were great. Yes I agree Italy is absolutely beautiful. I highly recommend a visit sometime in your future. 6 – 8 minutes? Ahh but it was my people’s home, Italy! Had it been Fresno and you did this, we’d be having an intervention. Scott, planning a trip to Priaino for Sept 2014 – any suggestions on villa to rent ? I absolutely love Praiano. In my opinion its one of the best locations on the Amalfi Coast, close enough to Positano, Amalfi, Ravello that a simply bus or scooter ride is simple. I have rented two Villas in Praiano in the past and will be renting one of them again in April/May of 2014. The first one we rented was Villa Maria Pia (http://amalficoast.villamariapia-praiano.com). This villa is on the Water side of the road. The owners live in an adjoining villa and have been converting the property for years to a hotel. However they still rent out the main villa which has 4 bedrooms, 2 Kitchens and lovely patio overlooking the ocean. It needed some updating then (a few years ago). And the owners have children which were often times loud. The second place is Villa Angolillo e’Paraviso (http://www.villeinitalia.com/houses/Angolilloe'Paraviso.html) I will be staying here again. 3 Bedrooms, 3 Bathrooms, updated with a lovely outdoor kitchen on the patio. The Villa itself is a very nice size and very comfortable. The patio is smaller than Maria Pia, but still very comfortable. This villa is on the hill side of the road. As is the case with the Amalfi Coast, you will either be going up steps or down steps. With this Villa there are about 100 steps to go up in order to arrive. These two I have personally stayed at, however I have looked at others while there. There are a lot of Villas to choose from in many different prices. Good luck to you and when your there stop by and have dinner at Hotel Smeraldo in Praiano, really lovely family and good food.